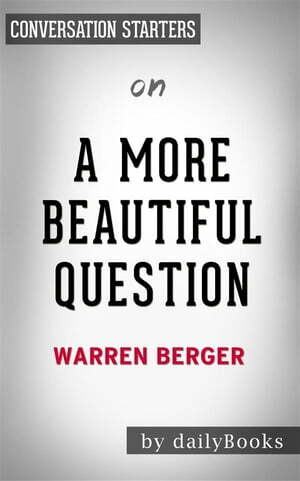 Collins Booksellers - A More Beautiful Questions: by Warren Berger??????? | Conversation Starters by dailyBooks, 9788827554487. Buy this book online. A More Beautiful Question: The Power of Inquiry to Spark Breakthrough Ideas by Warren Berger, bestselling author and innovation expert, discusses the importance of asking questions in order to succeed—in life and business. Berger hopes to show readers that the key to success in their personal lives and in business is to ask the right questions—the “beautiful questions.” Berger has researched some of the world’s most successful and leading innovators and creative thinkers for the book. A More Beautiful Question won an Audie Award for Best Business Book in 2015.